Do you know who Miss Terwilliger is? She is one of my favorite fictional knitting heroines. Her story is told in the children's chapter book, Homer Price. Miss Terwilliger's Skirt, my newest pattern, named in her honor, is found in the September/October issue of Piecework Magazine. If you haven't read Homer Price, you are missing out on an American treasure. A superhero in crisis, a donut machine gone wild, an adorable skunk... and a yarn ball contest grace its pages. Are you interested yet? 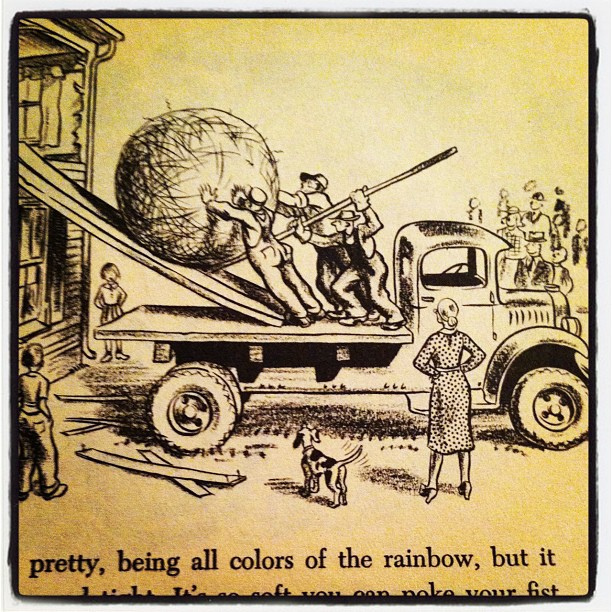 Miss Terwilliger, the town's local knitting instructor, enters a yarn ball contest with two of her suitors. I won't give away the punchline, but let's just say she is the cleverest of them all. 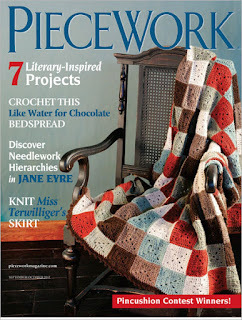 I designed a top-down skirt in a chevron lace for this literary project. The yarn is Savannah, from The Fibre Company, and it was the perfect yarn for this project. I love its subtle texture and body. I was able to get a snapshot of the skirt before I sent it out to Interweave last spring. Do you see the ginormous ball of yarn in the illustration? It is the stashing knitter's worst fear-- having your complete stash exhibited to the world! In Miss Terwilliger's case, a wall of her home had to be removed to make way for the yarn. 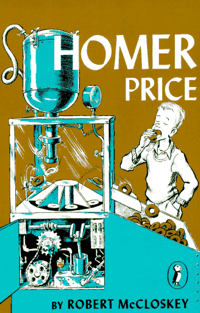 Did you read Homer Price as a child? I didn't discover it until I had children of my own to read to. 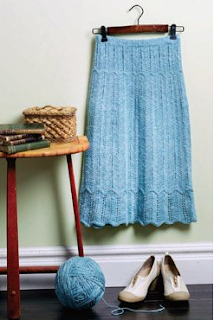 I hope you enjoy the skirt, the article, and the "yarn" about yarn.